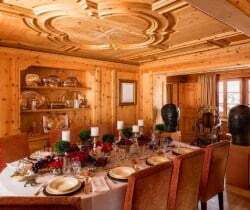 Located by the slopes of Chanterella – Corvaglia (approximately just over 100m from the lifts), high above St Moritz, the luxurious and unique family chalet is among the best sited in the area, with superb views overlooking the resort, the lake and snowy Alps in the winter. 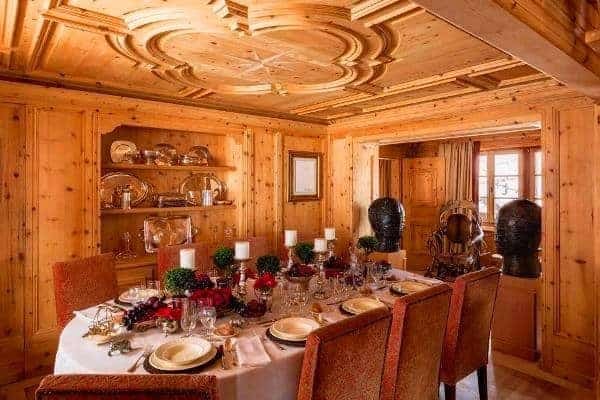 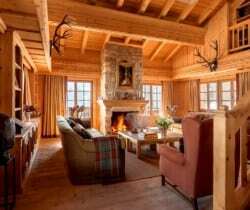 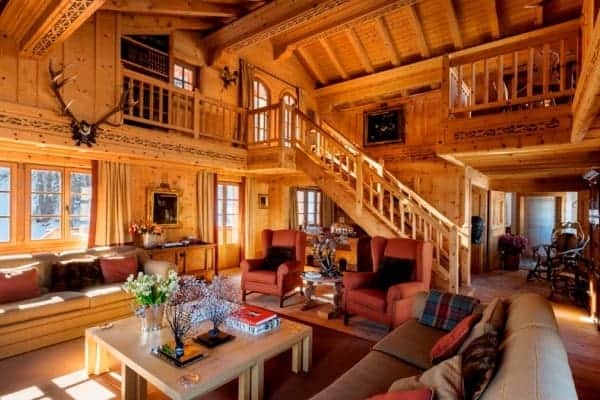 The chalet sits on a plot of about 6 hectares and it is one of the largest properties in St Moritz. 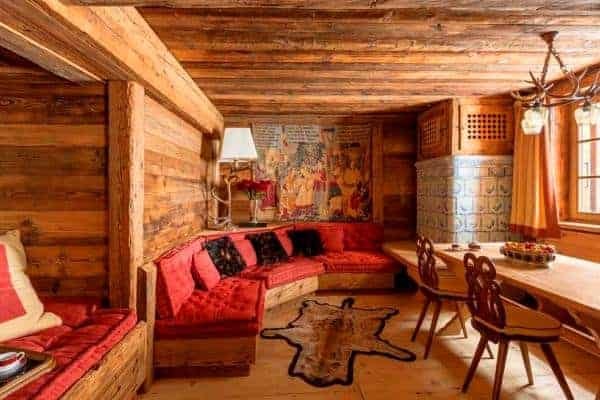 It is situated on a sunny south-facing slope, only a two-minute stroll to the Corvaglia lift junction and from which one can access the centre of St Moritz. 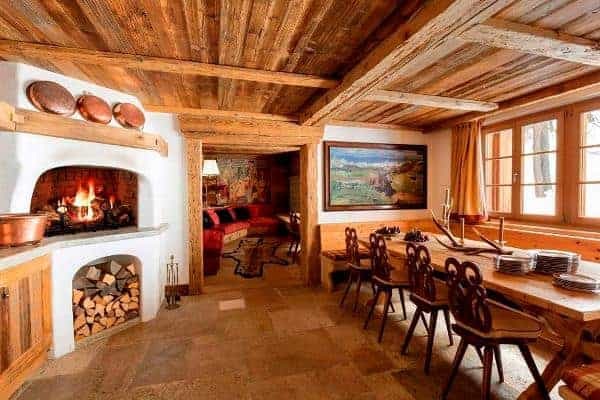 The town is one of the most exclusive and most amenable resorts of the Alps, having hosted two Winter Olympic Games and being also the terminus for both the world-famous Glacier Express and UNESCO World Heritage Bernina Express. 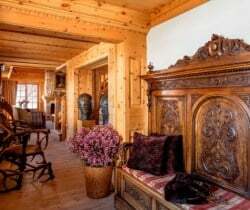 St Moritz is also hub to a splendid selection of five-star restaurants and outstanding leisure, cultural, shopping and sporting amenities, activities and cultural events. 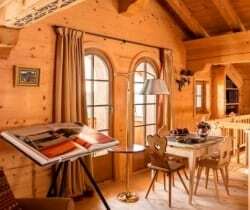 Zurich and Milan Malpensa are the nearest international airports (three hours by car) but the chalet is suitably close to the resort’s private airport (about 30 minutes). 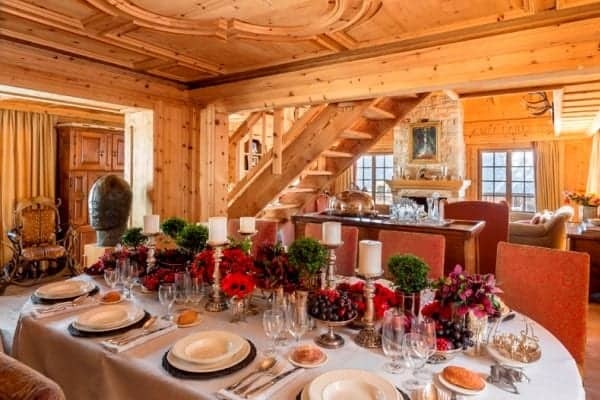 This luxury chalet is particularly special because its construction incorporates a nineteenth century stone tower, which is an enticing and unique addition. 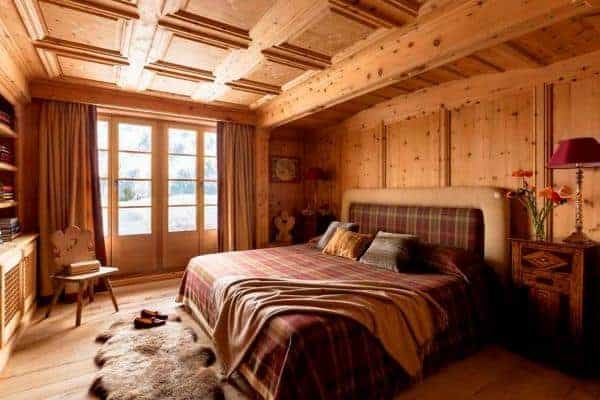 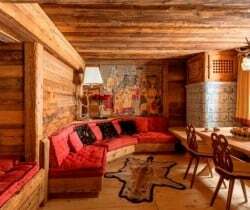 Within the functional and modern interior specifically designed to evoke the classic woody alpine ambience there is a profound sense of privacy and seclusion. 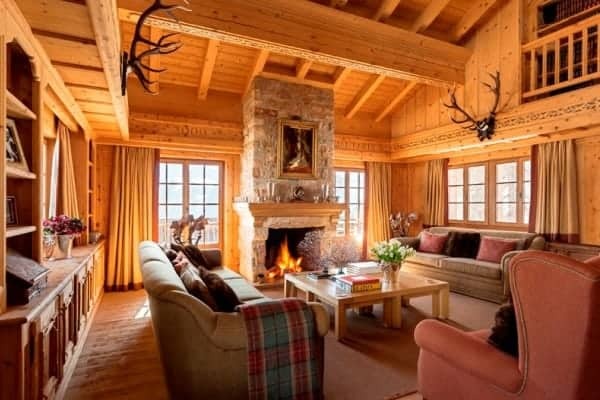 The décor stylishly incorporates local artisan furniture, a stone hearth for the fireplace while other eye-catching embellishments include sleighs that have been transformed into coffee tables, as well as bespoke antler and hide chairs. 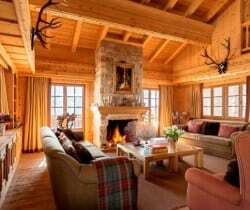 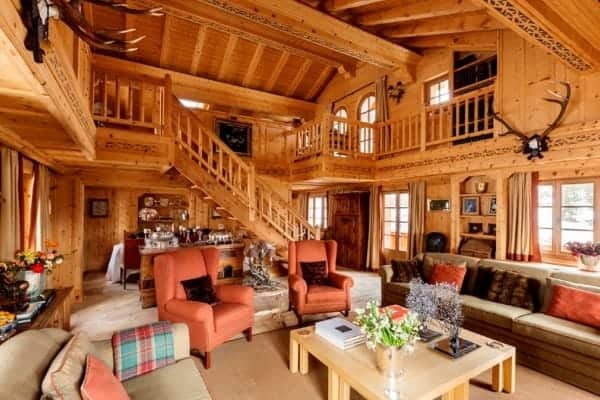 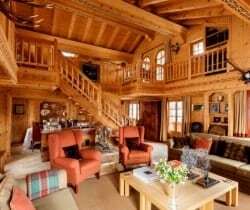 The open plan main living area is arranged over the top floor of the chalet, which has also a mezzanine at the top of a wide bannister staircase and on which there is a snug TV/relax lounge. 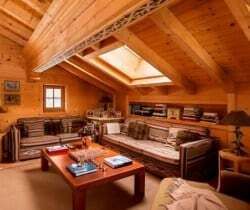 From here there is also open access into the domed top floor of the tower. 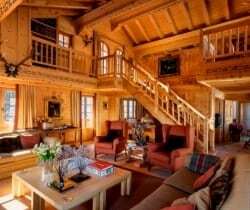 With its decorative rotunda ceiling and banked seating, this space offers another quiet retreat within this luxury chalet. 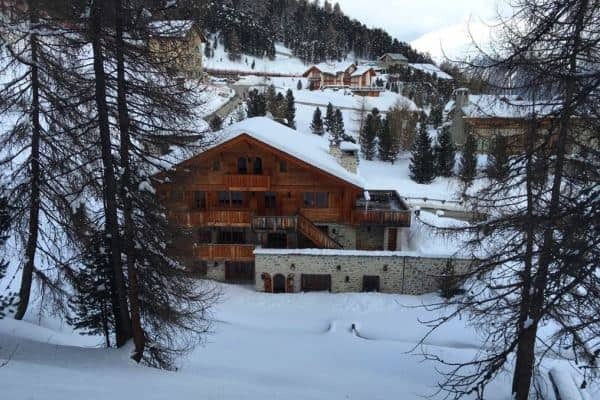 The wide outdoor balcony-terrace offers yet more alternatives for quality après-ski entertaining or simple lazy sunbathing against the magnificent scenic backdrop. 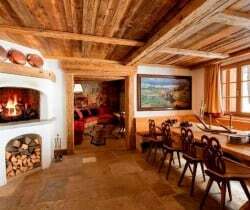 Expertly arranged over 3 floors and with a surface area of approximately 1,000 sq. 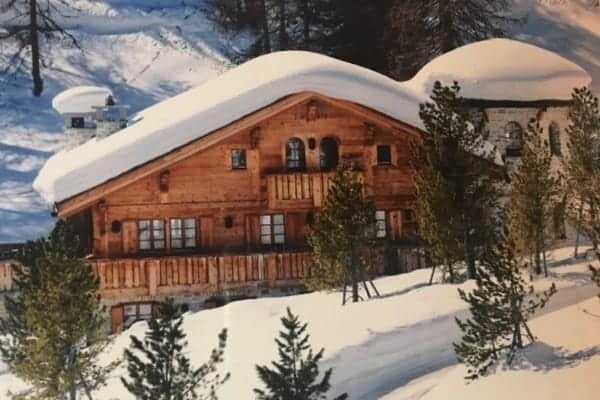 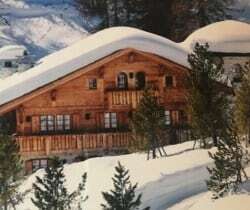 m, the luxury chalet can accommodate up to 17 guests in 8 roomy and smart bedrooms with en suite bathrooms; all are situated on the lower two floors of the chalet and include a master suite with private balcony as well as a bunk room ideal for up to 3 children. 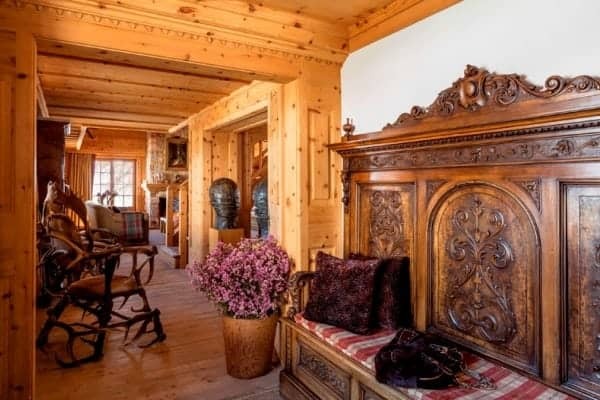 The wood-clad bathrooms with marble inlays maintain the overall alpine charm. 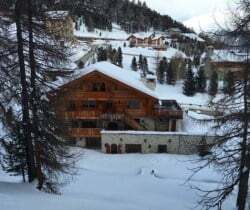 Its ground floor ski-suite features a kitchenette, boot heaters and access to the private garage providing parking for 4 vehicles. 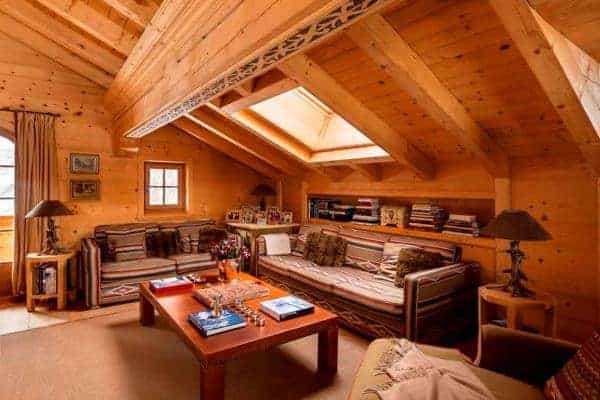 But remember, you don’t need a car to start your ski day! 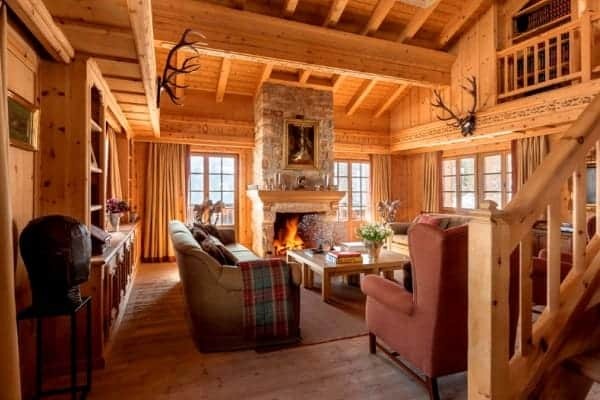 For a luxurious winter holiday with a difference at one of the elite destinations in the Alps there are few family chalets to match the calibre of this unique property, as well as its outstanding location. 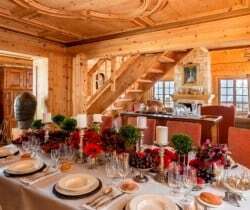 With also the first-class services of a private chef and butler, this luxury chalet is highly recommended also for couples or a group of friends who, alongside quality skiing, wish to experience outstanding comfort, privacy, rest and relaxation in St Moritz. 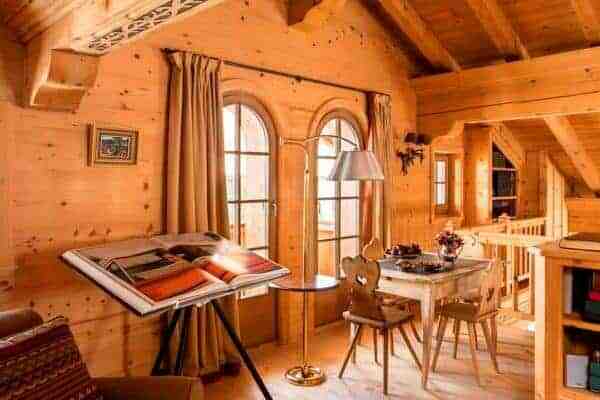 Outdoor: Al fresco dining areas; Outdoor chill out areas.